The carpet conveyor has proven its value for automatic loading and unloading for all kinds of cargo. The carpet is an electrical driven conveyor. The fully supported floor enables fork lifts to drive over without damaging the trailer or the system. Whether it comes to pallets, boxes, gitterboxen, stacks of tires or paper rolls, the carpet conveyor can handle all. As the conveying carpet is installed directly on top of the trailer floor, the net loss of height is negligible. Due to the stiff top layer of the carpet, the system is admitted by the DEKRA for securing load without straps for tautliners. The carpet systems are used in all types of trailer such as tautliners, box trailers and reefers. 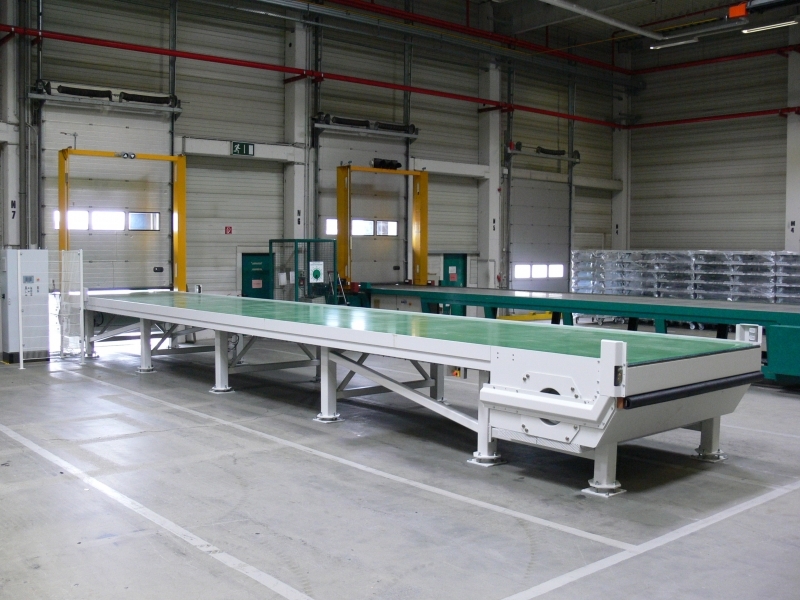 The carpet conveyor can be supplied with options like trailer positioning, optical dimension check and variable conveying speed so that it can be adjusted to every existing system. The carpet systems also can used as a stationary system. What can the carpet conveyor do for you?